Bri Gaal's Blog: Logan's Race Report! Logan did the Healthy Kids Running Series this past spring and had a great time. His age division (Pre-K and under) runs a 50 yard dash. In the spring, he was one of the youngest and was last or close to last in every race – but he loved it! He said he definitely wanted to do it again for their fall series and this past Sunday was the first race. We got there early to pick up his number and t-shirt. 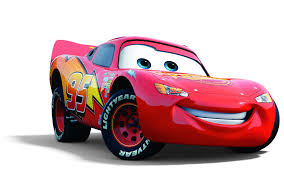 As luck would have it, he was given #95 which is also Lightening McQueen’s number!! O.M.G. He decided to a do some ‘hanging from the bar’ stretching. Then some dynamic stretching with his girl, Jade. Cheering the big boys on in the 1 mile run. Time to line up and do a little visualization. The competition looked fierce today. Focused on the finish line. Really, he’s just in it for the juice and pretty girls. He ended up 2nd in this race because the kid in front of him decided to stop at his mommy (and the first place kid was in the wrong race). Podium!! !